For Today Only Thursday 2/25 Walgreens is offering one FREE 8x10 Print. Print this coupon here and take your Coupon to any Walgreens Store to get a free 8×10 Photo Print. No purchase is necessary. Limit one per customer. I think I will have to print off one of Marissa's Wedding Photos! Becca was watching Emeril share his reciepes with Good Morning America last week. She decided that the next class she wanted to take for Homebound High School is a Culinary Arts Class and she is going to make them! She has been working on cooking skills for the last year or so and she thinks she is ready for the big stuff. Today we had her IEP with the school and they will give her credit for cooking class, but we have to document it. My blog is the mechanism. Both our readers and the teachers will get to see Becca's creations. She will be cooking one reciepe per week and all of what she cooks will also be Gluten-free! Becca spent Thursday night making her shopping list, and finding the receipes on the Good Morning America site. Here are the three Emeril Entrees she wanted to make... Which is an ambitious project for any home chef...but when Becca sets her mind to something she will not give up. Friday she and I were on a mission to head to the grocery store. We needed many things as I am basic chef, and Becca kicked in a $20 to help pay for "her meal". I paid for the pork loin. The Grilled Sweet Potato Salad ready for the Oven. The finished Orange, Cumin and Cilantro Roasted Pork Loin. I had posted on facebook the ongoing Becca in culinary arts class on facebook with pictures on Saturday. Leah, the occupational therapy student who I had hired to work with Becca posted that she has come a long way. For my readers who do not know, Becca never ate anything by mouth until she was over 8 years old and then only very small amounts and only the same thing over and over and over again. Never enough to sustain her and making her dependent on night-time feeding pump drips of specialized formulas. The doctors told us that she will never get rid of her feeding tube, but at l6 Becca proved them wrong. I have enlisted my daughter-in-law Stacey's help in getting Becca to try new things, and now she is finding things for us to try! Flexibility and trying something New is amazing considering her history and her Autism and Noonan syndrome diagnoses. could and I had to lift the heavy glass pans into and out of the ovens, slice up the sweet potatoes, but she was in charge and did everything else. The meal was fantastic and I loved the Grilled Sweet Potatoes the best, but everyone else thought the Orange, Cumin and Cilantro Roasted Pork Loin. We all rated her meal giving her a solid A for her Becca cooks Emeril Saturday Night Meal. I look forward to what she will cook next. Becca's request for her Easter Basket...Emeril's latest cookbook. 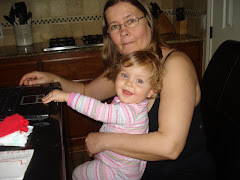 This mom is smiling remembering l6 years of trying to get her to eat. Piggly Wiggly has a deal on Oscar Mayer Wieners beginning Wednesday2/24 through Tuesday 3/2. We love Oscar Mayer Hot Dogs as they are Gluten-Free. Buy 2 for $2.88 and Receive a $2.00 Coupon Good on Your Next Purchase. (Limit 2 Packages). The girls and I will be heading to Piggly Wiggly and each grabbing 2 packages of Hot Dogs. I will pay first and pay $2.88 for 2 which in itself is a great deal. I will than pass the $2.00 Catalina coupon to Becca who will than pay $.88 for two after OYNO Catalina and receive another $2.00 OYNO Catalina, then Detamara who will pay $.88 for two packages after OYNO Catalina and we will walk out of Piggly Wiggly with 6 packages for $4.64 and a $2.00 OYNO Catalina. I will make another round another day with the girls of Oscar Mayer Hot Dog Bargain Shopping. The second day we will each pay $.88 for 2 packages as I will have the $2.00 Catalina to begin yielding $2.64 fo 6 packages using three different shoppers :) We will be stocked up on Oscar Mayer Hot Dogs for backyard swimming parties. Detamara can you recite the Oscar Mayer Wiener jingle? How about you? Twenty years ago last month, my husband lost his job and we were forced into poverty to cover our daughter's hundreds of thousands of dollars in medical bills. She was only six months old and we had a dying baby and no job. Limited by the state to $800 a month to qualify for medicaid and his employer did not want to put our critically ill baby on insurance when open enrollment came around. 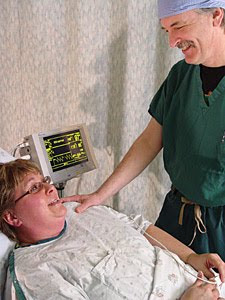 I found this picture today on the hospital website and thought I would post it to inspire. Pinch me, I still cannot believe that we went from poverty to my husband being a doctor. Jim went back to school when Becca was two. Two years of undergraduate coursework to add to his bachelors business degree and four years of Medical School all supported by delivering newspapers in the wee hours of the morning and student loans. He did so carrying an impressive 4.0 GPA. He will admit the first time he went through school all he got out of it was himself. When he was deciding on which specialty he was going into, I told him he had to go for a short residency (3 years for primary care), but he wanted to be a pathologist (5 years). The day he came home from his first day of his surgical rotation, I knew he was going to be a surgeon. But he argued with me. I told him surgeons have the reputation of being arrogant, and what a waste of talent when he has people skills and has been on the other side of bad news. In 1997 we left Minnesota and moved to Residency. 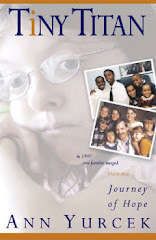 A 5-year General Surgery Residency with our six biological children and 6 siblings separated in foster care. I tell people "think Grays Anatomy plus a dozen kids". Our lives were more drama than the television show! Lesson: When life changes, it is just another opportunity around the corner. Sometimes it may seem impossible. But how will you know until you are daring enough to try. I can't hit Target without Perimeter Perusing. I will never know what I will find. I love Shabby Chic, but I can' jusify the price. (Thank you Kristy for getting me hooked).Finding it on clearance is something that never happens. I had been to Target the week before and these were not there. Someone else's return became my treasure. Now I will have to repaint the little girls room (was intended for foster kids and small visitors) in our house to light pink which I had originally wanted. The pink ended up as Doc calls Pepto Bismol Pink which at this point upsets my stomach as it is too Bubble Gum for me. Now at least I have an excuse to change it :) I still have some Buy-One-Get-One Free paint that I can take in to be colored at Blains Farm and Fleet so it will not cost me anything at this point to change it. My yesterday's Walmart find makes me think SPRING. Serena (Becca's Babysits her at our house) will have fun with this! All Aboard Toys has 160+ Melissa and Doug Toys on Clearance. 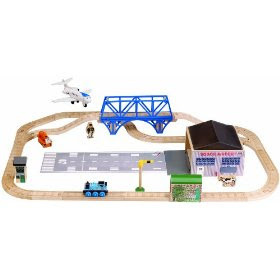 Thomas the Train Wooden Sets and Buildings are on clearance at All Aboard Toys. I noticed several complete sets at 50% or more. With an order of $67.00 shipping is FREE. There are over 169 Melissa and Doug Toys on clearance also. The BIG Sale at All Aboard Toys started today so hurry before they sell out. Thank you Common Sense with Money for this deal. From now through 2/20 Kmart is running a gift card promotion on Gerber’s Childrenswear. You can receive a $5 or $10 Kmart Gift Card by mail when you buy $15 or $25 of Gerber Childrenswear. 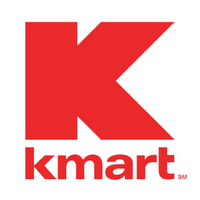 Get a $5 Kmart gift card for a $15 purchase or a $10 Kmart gift card for a $25 purchase. 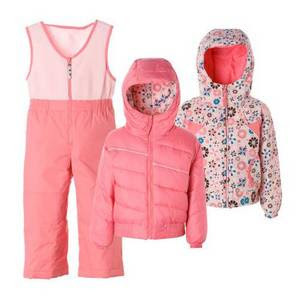 Buy $25 in Gerber Childrenswear you can use this $5/$25 printable coupon. You must fill out and mail in this rebate form and include the UPCs and your receipt with the qualifying purchases circled. These are deals that I will be surely doing this week! Final cost just $8.98 total, ONLY $2.25 per item! Final cost $2.18 total, just $0.73 per item! Photo: On Doctor Dad's shoulders at the Irish Festival at Harriet Island rocking to the Dropkick Murphys. I title this picture "She ain't heavy, she's my daughter". February 7 to 14 is Congenital Heart Awareness Week. Click to learn more. For us, this day is full of memories. Our Becca was born with a severe form of Noonan syndrome and a bad heart. She had severe pulmonary stenosis, (bad pulmonary valve) an atrial septal defect (a huge hole between the chambers), and severe biventricular hypertrophic cardiomyopathy (thickened walls of the heart). Twenty years ago last week we planned a six month birthday party because the doctors were not certain she would survive to see her first birthday, much less the upcoming cardiac catheritization. We had few memories of being home as she had spent most her life in the NICU. As we were getting ready to bring Becca home on a 48 hour pass, I told Mary the hospital social worker of my wish for memories. With my request and Mary's help, Make-a-wish granted our simple wish for a few pictures and use of a camcorder to record memories of Becca. Our camera had been stolen from the hospital and we had few pictures and none with her siblings. Make-a-wish did not at that time grant wishes for babies but waited for children to ask for their own wishes, but time was running out for Becca as she was in heart failure. She had been ruled out for a heart transplant and we needed to have a celebration. I locked myself in my room and created a valentines day dress while the nurses and our family planned a Heart Day celebration for our tiny daughter who changed all our hearts. Almost 100 family members, friends, and medical professionals came to our home and celebrated that evening and Becca knew she was loved. For me Valentines Day is a day of celebration, our gift of the heart. Twenty years later... Our miracle daughter is still here. Postcript: Becca's heart will need yearly monitoring from specialized Adult Cardiology Clinics who know how to treat survivors of Congenital Heart Defects. They are talking that she will need surgery in the forseeable future... and once again we will have to risk her life to save it. In case my granddaughters visit up here in the Artic North from Texas next season , I picked up two Columbia Snow Suits at Herbergers 70% off the clearance price. I do not want to pay a lot for a snowsuit that may not get much use. But to find Columbia sets for under $30 is an amazing deal I could not pass up. I even found the little matching Lavender hat for Mahala's set for $3.30! I found Ralph Lauren jeans for $9.00 a pair instead of $45.00 each for little ones to grow into. He last week found himself styling being introduced to Ralph Lauren Jeans for a mere $19.99. I love taking trips to Minneapolis in February and all the clearance finds I can score. But this year with paying off debt, buying Docs New Old Car which we were up there picking up, I was limited. Limited in time on a one day sprint of a trip and a funding limit which I obeyed, despite temptation. I have learned to buy name-brand jackets and snow-wear. Columbia and Lands End have lifetime warranties and if something goes wrong such as a zipper breaks, all I do is mail it in. In a couple of weeks it is returned repaired or replaced! Buying Columbia on clearance lasts through multiple kids, doesn't date and fetches a nice price when I resell it after we are done with it or is a great donation to a coats for kids program. General Mills has a new site...LiveGlutenFreely.com. for those who need to eat gluten-free. I had written General Mills and had thanked them for all the new Gluten-Free products and the email contained the new Gluten-free website resource. LiveGlutenFreely.com – for gluten-free product information, new product news and recipes from General Mills. Their goal is to help you live your life without gluten… freely. 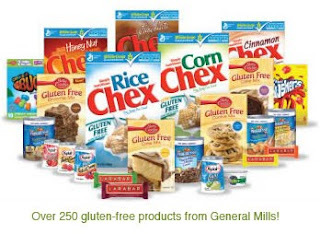 General Mills is now listing over 250 gluten-free products on their website. Sign up to receive "Live Gluten Freely Newleter offering gluten-free recipes, product information and more delivered right to your inbox every month! Become a fan of Live Gluten Freely on Facebook. It is amazing the committment of General Mills to make eating Gluten Free easier. I hope thatother big Food Manufacturers will follow in time. 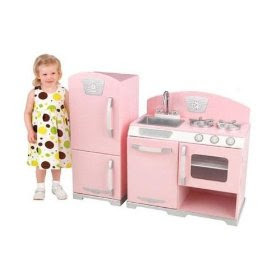 This is a great frugal alternative to paying the $699.99 for the Pottery Barn Kitchen, without sacrificing quality. 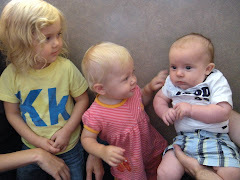 I found this at one of my favorite blogs: Penny Pinching Parent and posted it for Kristy to take a look at for Kasja and Mahala. 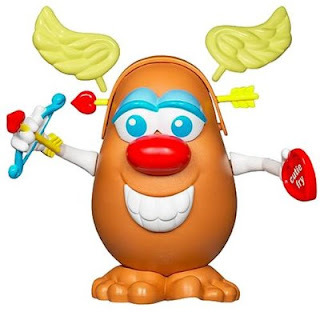 It is rare to find a coupon on potatoes, and even more rare to find a coupon that is rolling. Print coupons here and buy any two 5 lb. 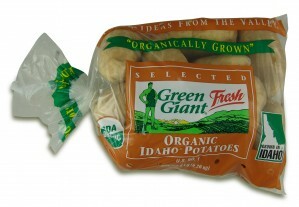 bag of Green Giant Potatoes coupon and receive a third bag FREE! 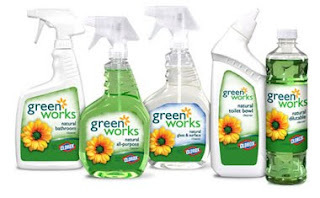 Coupons expire 2/28/10, find a sale and stock up. Don't forget to check on page 3 of the USA Weekend (Feb. 5-7) for more Game Coupons. 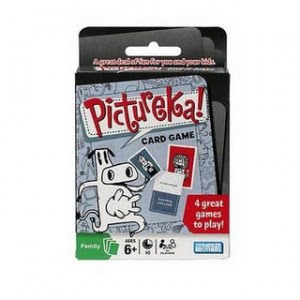 The Monopoly, Scrabble or Pictureka Game Coupons work also on the card size or travel games. Check out this post by one of my favorite bloggers Common Sense with Money for some frugal game matchups. If you haven't already printed these same coupons head on over to Coupons.com and print a couple of more. Last year I was able to donate over a dozen card games for Toys for Tots using coupons, and with these coupons I will be able to pick up even more this year! I got 2--$5.00 Gift Cards on this deal. I could not resist the challenge to see if this deal would work. When you buy 2 Venus Embrace Razors you will get a $5.00 Target Gift Card, and I had coupons on the razors and also had coupons for Buy a Venus Razor Get Free Olay Bodywash. I saw a sign that you will get a $5.00 Gift Card when you buy 3 Olay Bonus Pack Bodywash. You can save another $4.00. *I did not have my coupon binder with, but I could have used a Olay Body Wash Coupon to save more. 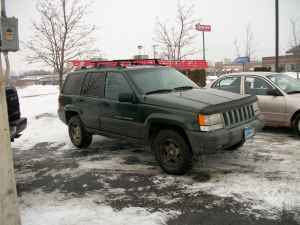 Doc's New Old Car--A $950 Jeep Bargain! Doc's 2000 Grand Am has over 200,000 miles and it is time for a new car. When thinking "Do we want a car payment?" We decided to wait and drive another beater while we save to pay cash for a newer car. Our Family Toyota Sequoia is fine for out of town travel and is paid for. We can pay off debt faster without a car payment! The boys, Becca, Detamara and Stacey's sisters are into Jeeps.... Now Doc is a member of the Jeep Club. My Dad and Brothers had restored a Willy's WW2 Jeep. We gave Nathan the job of finding a Jeep for Dad for under $1000! Nathan says I now owe him as he was the first of over a dozen callers in a two hour period on a l997 Jeep Grand Cherokee for $950 from Craigslist. The old saying "The Early Bird Catches the Worm". He had called within minutes of the listing on Craigslist. The dealer was kicking himself for not listing it for $1500. It needs new brakes and tie rods but Nate and Matt will do them tomorrow. It needs a bath, and Matt has been volunteered to detail the inside before we head up to the Twin Cities to pick it up Saturday. Some people give Doc grief that he drives junk, he tells them just because I make money doesn't mean I have to spend it. It gets him where he has to go. for $4.57 a bag. We used the $5.00 mfg. coupon from P&G for some FREE "Gato Grub" as it is known at our house for the Orange...our furry orange cats Trouble (Pumpkin) and Josey. Last year was the first time I ever ordered coupons and stocked up and fed the cats for FREE all year. We just filled the Cat food storage container last week and the coupons came just in time for another round of feeding the cats. We keep the unopened cat food in Rubbermaid totes purchased on double coupons at Kmart to keep the "Orange" from helping themselves to dinner. If you can't find the $4.57 small bags, the larger 4 lb bags are $7.28 less $2.00 making them $2.28 a bag which still is a great deal. But nothing is better than FREE. I have 35 coupons but will have to order more seeing as the bags are much smaller this year we will be getting for FREE. Doc is thrilled he got a new CD for us getting FREE Catfood. Hurry...Your $2.00 ALL coupons expire tomorrow! We ran out to Walmart to use up my $2.00 All coupons on the Small and Mighty 3x HE Free and Clear Laundry Detergent. 32 load size. These were $5.00 or more at Kmart and Piggly Wiggly. 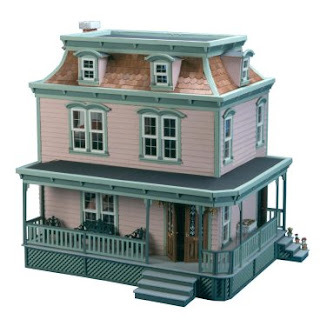 I found this dollhouse kit on clearance that someone had ordered this and returned it to Target. 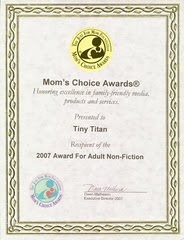 We scored it for a mere $21.44 (regularly $129.99). I have a fascination with dollhouses and have wanted to build one with my daughters... but they were too expensive till now. Now we have to use the 40% off coupons each week from Hobby Lobby to buy working windows, doors and the remainder of what we need to build our ongoing project. According to Detamara ours will not be pink, but Becca's thinks otherwise. Mine will be the deciding vote. The girls and I hit up Hobby Lobby with our coupons in hand. Our goal... each week pick up a few pieces to use to assemble the Dollhouse kit we found on Target clearance. From what I understand the miniatures only go on sale once a year and with our 40% off coupons we will get the best prices. Last week our Piggly Wiggly had Quaker Chewy Granola Bars on sale for $1.69. I had several $1.00/2 coupons purchased from a coupon clipping service, and combined with a $3.00 off 6 coupon I was able to stock up for a mere $.69 each. Last year I did the same deal, and found shelf space to be in shortage. I found that a Gallon size storage bag will hold 5 boxes of granola bars. I keep one bag in our snack shelf in the kitchen the others are put down in the storage room in a sweater box. I also use this same system with our stockpiled fruit snacks. Each bag will hold 5 boxes of fruit snacks. I mix up the bags. Kids like to reach into the ziploc bag and try to pick one of the many kinds in each bag. I have a girls bag, a mixed bag at this time. Becca babysits a four-year-old and she spends a few minutes each day trying to pick from Barbie, Princess Tiana, Dora, My Little Pony, and Disney Princesses. These are also a pool-time favorite with our little swimming guests. Then we pull off our boxtops points to give to our local schools, cut out any games or activities off the backs for the fruit snack boxes and recycle the cardboard. I ordered coupons from The Coupon Clippers to use on this deal. Dayquil is around $5.49 for a package not on sale. We use Dayquil and with submitting it for our Flex Spending, we save even more. But with beginning the weeks transaction with a Dayquil deal...I have a $10.00 to use. I am hoping they will have the Dayquil on sale sometime this month. More diaper deals for Nana's babies! Kohls Cash $10 for Every $50 You Spend--15% off and Free Shipping on $50 Order. 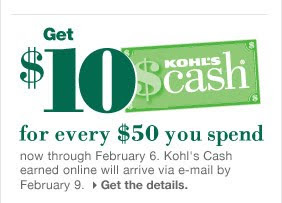 Earn $10 Kohls Cash for every $50 spent. Valid thru 2/6/10. 99 cent shipping on every item. No code required. Valid thru 2/4/10. **You can use up to 2 codes on one order. 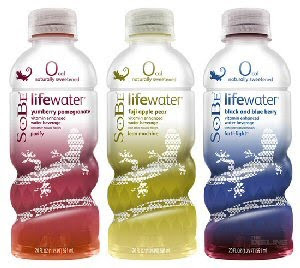 Target has SOBE Life water is on sale for $1.00/bottle! There are BOGO IP's and a new $0.50 printable Target coupon. The BOGO coupon is available through IE. This deal can be repeated in multiples of two depending on how many coupons you can print. 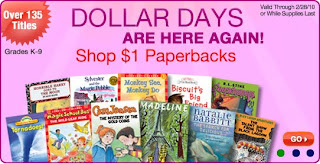 The Teacher Center at Scholastic Books is having their Dollar Days Sale with 125 paperback books for a mere $1.00. Shipping was $2.88 for my order. Teachers, daycare operators, and homeschoolers can stock up on books at frugal prices. Found these baby coupons when cruising this morning and figured I would post them for Kristy and Stacey for the wee ones! This coupon is valid on Johnson’s Baby Shampoo, Johnson’s Baby Lotion, or Desitin Diaper Rash products. Target has some containers of Johnsons Baby Lotion and Baby Wash for $2.14 less the $1.00 off coupon= $1.14 for either. The first two coupons do not specify not valid on trial size so may be able to be used for FREE trial size products. But for me, $1.14 for bottle is a much better deal. I also noticed that there were a couple of Johnson Baby products on the clearance end caps at a couple of Targets a week ago that these may be used for. Hy-Vee has Oscar Mayer Bologna Buy One Get One Free $1.99/2 through 2-2-2010. One of my favorite places to shop for clearance is Younkers. (Carson Pirie Scott, it is also Boston Store, Herbergers, Bergners,and Elder Beerman) depending on where you live. Younkers in Dubuque is my favorite place to shop deals). Beginning yesterday 1-31-10 take another 70% off all yellow mark-down items. Nathan will be happy to find out that Nana bought the little boy Puma and Addidas two-piece track suits for a mere $10.20 each for his new little one arriving in April. I found Doc some dressy Ralph Lauren jeans for only $19.99, instead of $95.00! I found plenty of little girl Addidas separates for under $6.60 each piece for Nana's girls to grow into. I had stopped in on Friday and bought a few items for 60% off the clearance and was shocked at how much merchandise had flown out the door by our visit on Sunday afternoon. The other day Kristy called me telling me I had created a clothes snob.... all while pinching a penny and stretching each dollar!